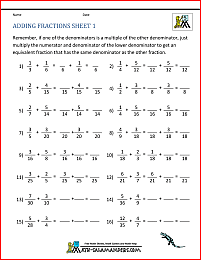 Welcome to the Math Salamanders Math Worksheets Decimals for 5th Grade. Here you will find a wide range of free printable Fifth Grade Decimal Subtraction Worksheets, which will help your child learn to subtract a range of decimals mentally. Here you will find a selection of Fifth Grade subtraction sheets designed to help your child improve their mental subtraction skills. The sheets are graded so that the easier ones are at the top. solve a decimal subtraction fact where the answer is given. Subtract with numbers to 5 with 2dp. Subtract with numbers to 10 with 2dp. Use negative numbers with subtraction. All the free 5th Grade Subtraction worksheets in this section follow the Elementary Math Benchmarks for Fifth Grade. Here you will find a range of Free Printable 5th Grade Subtraction Worksheets. 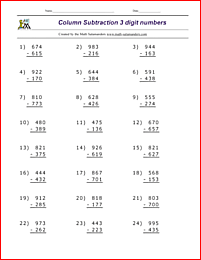 The following worksheets involve using subtraction at a 5th grade level. subtract multi-digit numbers, including decimals using column subtraction. All the 5th Grade Math Worksheets in this section are informed by the Elementary Math Benchmarks for 5th Grade. Here you will find a range of free printable 5th Grade Fraction Worksheets. At 5th Grade level, children are introduced to adding and subtracting fractions with different denominators. They know and can use equivalent fractions, and can multiply a fraction by whole numbers, as well as adding mixed numbers. All the Math Worksheets in this section are informed by the Elementary Math Benchmarks for 5th Grade. Here is our selection of measurement worksheets for 5th graders. learn how to estimate a measurement of length, weight or liquid. Here you will find a range of printable mental math 5th grade quizzes for your child to enjoy. Each worksheet tests the children on a range of math topics from number facts and mental arithmetic to geometry, fraction and measures questions.